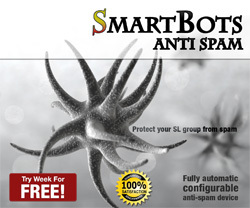 SmartBots Group Chat AntiSpam device has been updated. The new config directive has been added: “WHITE WORDS”. and all messages containing this string will be considered safe. You can get the new updated AntiSpam device at SL Marketplace for free. All these devices (and AdminBot LSL library) are available at SL Marketplace. 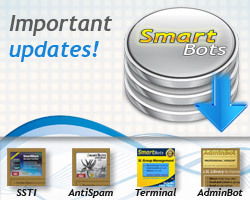 AntiSpam, AdminBot and Terminal owners are highly recommended to update!